Our Nugen range of PSA Gas Generators are used to produce Nitrogen & Hydrogen in most of the Chemicals Processing Plants / Refineries /Petrochemical Plants. Nitrogen is widely used to provide blanket covering thus avoiding any explosions during chemical processing and storage. Further Nitrogen also prevents oxidation of reactive chemicals & petrochemicals. Hydrogen is one of the most frequently used chemical ingredient in a wide variety of chemical processes. » M/s. Indian Organic Chemicals Ltd.
» M/s. Alembic Chemicals Ltd.
» M/s. Global Heavy Chemicals Ltd.
» M/s. Sun Petrochemicals Ltd.
» M/s. Jagdamba Petroleum Industries Ltd.
» M/s. Gujarat Ole Chem. Ltd.
» M/s. Paswara Petrochemicals Ltd.
» M/s. 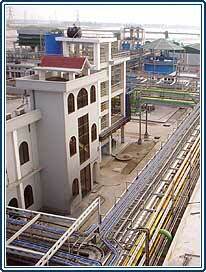 Iftex Oil Chemicals Ltd.
» M/s. Octogon Chemicals Ltd.
Our Nugen range of PSA Gas Generators are used to produce Nitrogen which is filled in a wide variety of food products (Potato Chips and other variants ) .The inert gas when filled in a pack allows it to retain its contents in original fresh condition by avoiding its contact with air/moisture. Further manufacturers of edible oils need to use nitrogen in storage & packaging processes. Nitrogen is essentially required in food packaging for Milk Powders to eliminate its deterioration due to moisture exposure. » M/s. Nestle India Ltd.
» M/s. Parakh Foods Ltd.
» M/s. Gokul Refine Oils Ltd.
» M/s. Sunrise Exports Ltd.